If you’re having a “ruff” day and want to de-stress, Ruby is your girl. 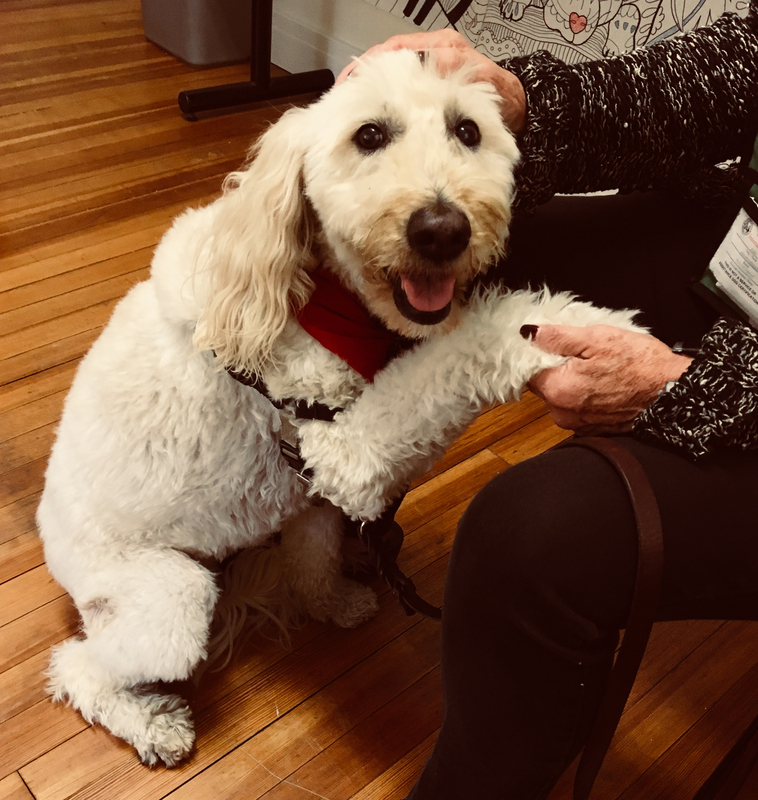 Stop by the Counseling Center on Mondays from 3 to 5 p.m. to visit (cuddle) with this certified therapy dog. Her mom and volunteer, Phyllis Conley, said Ruby’s favorite activities include hanging out with people, giving handshakes, and dancing. There’s a lot to love about Ruby, and she has a lot of love to give. Stop by the counseling center and say hi! Here’s everything you need to know about Ruby. A Golden Doodle. They are something special. She was given to me by someone I knew who couldn’t take care of her anymore. She was four years old then. She’s 10 now. She walks about four to five miles every day. She loves cuddling, giving handshakes, and being at the center of attention! How long has she been a certified therapy dog? We’ve been a therapy-dog team for about five months now. Every time we are getting ready for a visit she wags her tail. As soon as we pull into the parking lot she gets excited! What can people expect from her as a therapy dog? We haven’t had many people here yet, but she loves people. She goes from one person to the next. She knows how to work a room! The Counseling Center is located at 441 Western Ave. and aims to promote personal psychological health and wellness and remove obstacles to students academic success. Ruby is just one of several services the center provides. Click here to learn more. 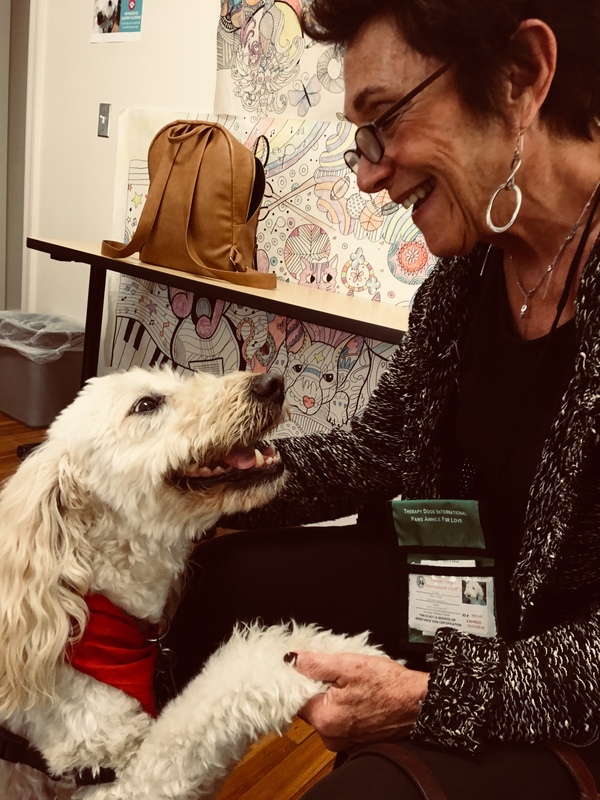 Follow the Counseling Center on Instagram @csrcounselingctr, to see pictures and learn about other events in which therapy dogs will be on campus.